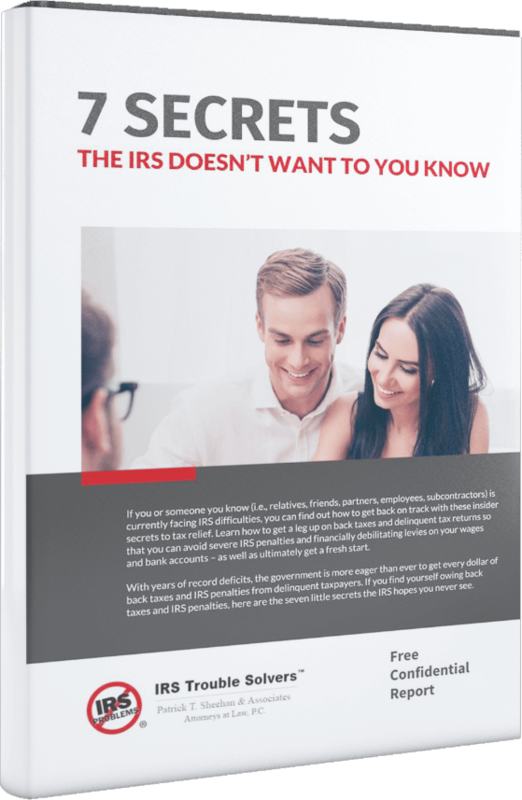 As the owners of a high volume medical practice, my wife and I came under great distress when the business was hit unexpectedly with an audit after an accounting blunder drew the scrutiny of the IRS. Things took a turn for the worst when the audit identified considerable discrepancies in the amount of income filed for the prior two years. An overwhelming situation for us to say the least, we turned to Patrick T. Sheehan & Associates for guidance — a move that turned out to be the best I believe we could have made. Deployed to lead in our battle against the IRS — the firm’s Greg Dzialo could not have done a better job turning what we anticipated to be a nightmare into a process that was totally manageable and surprisingly painless. And even more recommendable than Greg’s efficiency and professionalism was the sincerity and devotion with which he represented our case. We felt truly confident that Greg took our case to heart and was determined to win the best outcome possible for us. And in the end, I believe he did just that: that outcome being a very feasible payment plan that won’t stand in the way of our practice continuing in a positive direction. Our taxpayers own and operate a medical practice and were notified by the IRS that the business’ federal Form 1120 tax return for 2013 had been selected for audit. The accountant who had prepared the tax return for 2013 initially handled the audit. However, the IRS quickly expanded the scope of the audit to include the business’ federal Form 1120 tax return for 2012 and the owners’ federal Form 1040 tax returns for 2012 and 2013. At that point, the taxpayers retained Patrick T. Sheehan & Associates. The IRS auditor stated his belief that the business did not include approximately $200,000 of income on the federal Form 1120 tax returns for 2012 and 2013 and intended to further expand the scope of the audit. We successfully convinced the IRS that the business inadvertently did not include income in an amount substantially less than $200,000 and prevented the IRS from further expanding the scope of the audit. After the audit was concluded, we negotiated an installment agreement with the IRS for our taxpayers in an amount that they could comfortably pay. Our taxpayers are now free of their IRS problems.